"Therefore God also gave them up to uncleanness, in the lusts of their hearts, to dishonor their bodies among themselves,"
So the same Dan Flynn who surrendered his dignity in an attempt to impeach the Regent who was pursuing accountability against that self-same "politically correct" university administration now has the chutzpah to complain about a sensationalistic story that made national news?!? 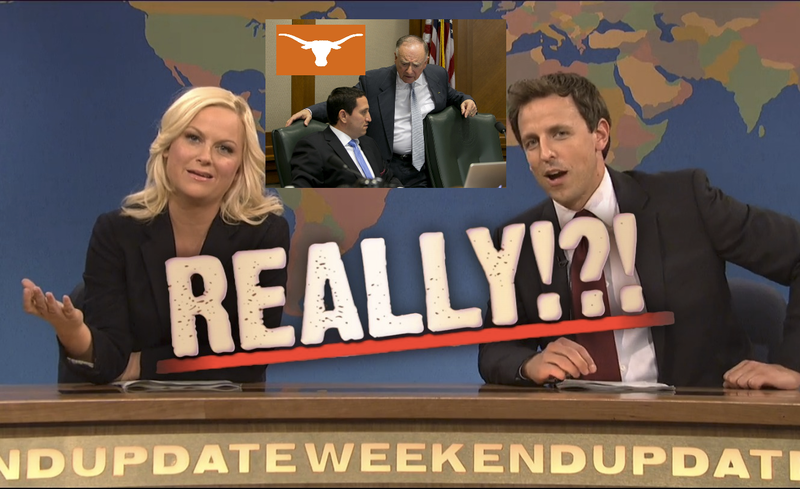 SJW-related nonsense is the natural result of the University of Texas (and higher education in general) having too much money. When he had the opportunity to do something about it, Dan Flynn instead chose to protect that money. Nobody should be surprised by what followed. We look forward to the bevy of Higher Ed. reform bills Dan Flynn intends to file next session but... we're not going to hold our breath. Bottom Line: Actions speak louder than Facebook. 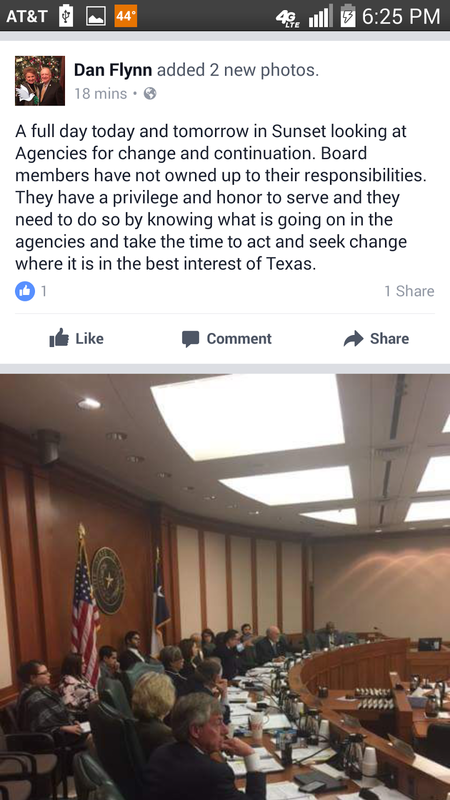 So the same Dan Flynn who surrendered his dignity in an attempt to impeach a state agency board member who was pursuing accountability against that self same state agency now has the chutzpah to complain about state agency board members who refuse to do their jobs?!? State agency board members who fail to perform oversight is the natural result of a go-along-get-along-good-ol'-boy culture in the legislature that fails to demand accountability. When he had the opportunity to do something about it, Dan Flynn instead chose to protect that go-along-get-along-good-ol'-boy culture. Nobody should be surprised by what followed. We look forward to the bevy of state agency board accountability bills Dan Flynn intends to file next session but...it's not up there so far (although has has re-filed his stupid anti-Daylight Savings time bill). Bottom Line: No one who participated in the Wallace Hall impeachment can ever complain about state agency board members not doing their jobs ever again.